Four in-flight essentials for hair and body. 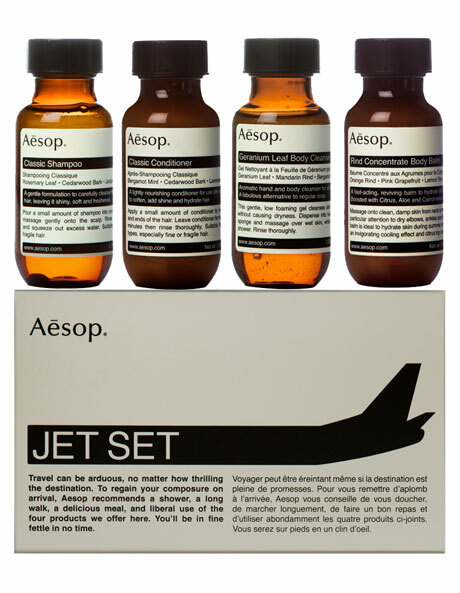 To maintain impeccable upkeep abroad this kit is an essential carry-on component. Upon arrival at your destination, take a brisk walk, then return to your temporary abode to cleanse, hydrate and refresh.